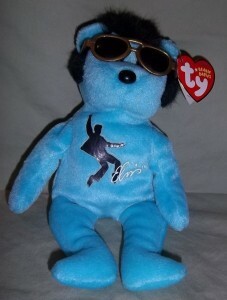 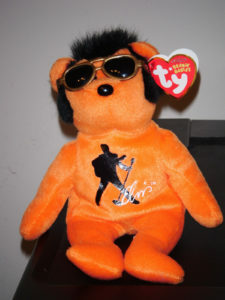 There are three types of Elvis themed Beanie Babes: Beanie House Rock, Bearning Love and Blue Beanie Shoes. 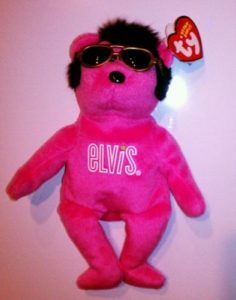 All the Elvis Beanies have the same style number, 40742, but look different. None of the three hold a lot of value today, most sell for under $10 online.